As seen from the Soviet space probe Vega 1, bright Venus was only a crescent on June 9th 1985, as it released the ball-shaped descent module located at the front of the spacecraft. For two days, the module coasted before entering the upper atmosphere of the planet. At an altitude of 61 kilometers, the ball split into two pieces. One piece continued to fall towards the surface hanging from a parachute. On the ground, it survived for only 56 minutes before Venus’ immense pressure and heat killed it. The other piece survived for much longer. It stayed in the much cooler and less dense upper atmosphere. With it, the piece had carried an aerostat – a helium-filled balloon flying at a constant altitude. At the bottom of a 13 meter long tether the aerostat carried a small scientific probe. For two days, the probe transmitted data from the atmosphere of Venus. It managed to traverse 11,600 kilometers while operative. After it shut down, it might have travelled even further. Space is hard. Curious as we are, we want to peer into the places most difficult to reach. Our sibling planets make this a great challenge for us. Venus has a surface plagued with intense heat and crushing atmospheric pressure. On Titan, the extreme cold temperatures will freeze a space probe to death. And Mars, as was demonstrated recently by the Schiaparelli lander, is quite a tricky planet to land on, due to the feeble atmosphere. Therefore, engineers toil over ways to design spacecraft that can reach their destination and survive for as long as possible, thereby yielding the most amount of science possible. So far, scientists have used either of three mission types to perform close-up investigations of the Solar System: fly-bys, orbiters and landers. Fly-bys like Voyager 1 and 2 offer only snapshots of planets, comets, asteroids and moons. An orbiter, on the other hand, paints a global picture and can do so for a long time. It takes a lander, though, to – literally – dig into the dirt and probe the contents. The last two, orbiters and landers, yield the greatest scientific insights. In combination, they provide both the big picture and get into the gritty details. On Mars, cooperation between rovers and satellites have been crucial to the confirmation that Mars was once a warm and wet planet. However, the Vega 1 mission and its sister Vega 2, offer a fourth mission type – a sort of middle ground between a lander and an orbiter. Floating in the atmosphere, the Venusian aerostats survived for much longer than the landers that accompanied them and gathered scientific data that would be difficult or impossible to get from space. To date, only the Vega missions used this concept for planetary exploration. Balloons have several advantages. They can survive for long periods in the atmospheres of hostile planets such as Venus. In addition, they are relatively cheap. Since wind will drag the balloon around, it requires no propulsion system to move. In contrast, landers stay where they land. This limits the area of exploration. Of course rovers can potentially cover great distances but their need of electric engines, wheels and gears make them complicated machines that have to be steered carefully in order for them to operate for a long time. An orbiter requires thrusters and fuel to make inclination changes that can take it to where it wants to go. The delicate fuel must be managed by foolproof systems that add to the cost. By design, balloons need none of this. This saves mass and time spent on controlling the probe and therefore also money. On Earth, balloons are so cheap that universities around the globe use them as student-projects, to explore the stratosphere or test hardware for CubeSats. Also, the atmosphere is quite an ideal place to study a planet from. While satellites can see almost everything from orbit, they can’t fly in the atmosphere. Air acts like a brake and orbiters are dependent on maintaining orbital speed. Otherwise, they crash into the planet. This means that satellites above worlds with atmospheres are limited to how close they can get to the surface. This enhances the need for bigger telescopes to obtain good resolution of the surface. A balloon, since it flies much closer to the planet, could use smaller telescopes and still achieve higher resolution than an orbiter. Of course, resolution is highest on the ground. The surface is dangerous, however. A rover has to avoid sharp rocks, boulders, chasms, sand dunes and pits. The teams behind Curiosity and Opportunity work laboriously to find the safest routes for the rovers. In addition, planetary protection regulations force the rovers to take paths that keep clear of areas where life on Mars might be dormant. A balloon simply floats above all the dangers and limitations. From a safe distance, it can study landscapes that might be unreachable for a rover. Some design studies even suggest that balloons could travel down to the surface and collect samples much like a rover would. This all sounds very good, but there are downsides to the balloon design. The most obvious one has to do with steering. As mentioned, the wind will provide the balloon with movement. This is okay, if you as a scientist are indifferent towards where your probe is going. In real life, though, most scientists don’t have the luxury of being indifferent. They want to go to specific places. This is difficult with a balloon. Unlike airplanes, balloons don’t have an aerodynamic design that helps them steer through the atmosphere. They just drift with the wind. One solution to the problem is to make a blimp, which means shaping the balloon as an ellipsoid for greater aerodynamic properties and outfit it with propellers. However, this adds more mass, that could have otherwise been delegated to scientific instruments and also a blimp is much more complicated than an aerostat. Christopher Yoder is not the only person, who has worked on designs for planetary balloons. At the southern tip of the Big island of Hawaii, where the rocky coast line meets the deep-blue Pacific Ocean, a group of engineers from NASA’s Jet Propulsion Laboratory (JPL) gathered in the summer of 2002. The weather there is consistently good but the engineers hadn’t come to enjoy the sun or the water. Instead, they chose the place because weather conditions allowed for a test of their two balloon prototypes. The prototypes had been designed with Mars exploration in mind. After inflation, the first would take the shape of a sphere, as most balloons do. It was made of light but flimsy Mylar film. The other had the shape of a pumpkin and was made of heavy, but strong, polyethylene film. Each prototype was carried by balloon to an altitude of 34 kilometers. Then they were released, a parachute opened and the prototypes began inflation. The spherical balloon did not survive the test, but the pumpkin design did. The test on the Big island of Hawaii was a culmination of five years of research. 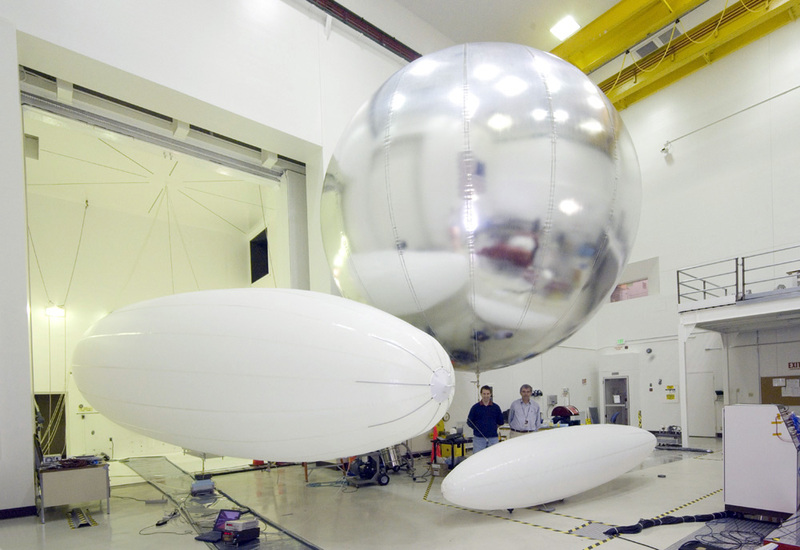 In 1997 JPL had initiated the Mars Balloon Validation Program. They drew inspiration from the Vega missions and wanted to make a balloon that could explore Mars. Mars has almost no air. Therefore, a balloon has to be very big in order to float and preferably be made of very light material. But first it has to be deployed after entering the atmosphere. A balloon that is snapped out of a container by a parachute at supersonic speeds experiences a lot of stress. This increases the risk of breaking the light plastic it is made of. In order to make the balloon more resilient to the stresses of aerial deployment, the engineers had designed the second balloon with tendons. These, besides making the balloon more robust, also gave it the shape of a pumpkin. "Balloons are viewed as less likely to be used for Mars exploration because of the difficulty of solving aerial deployment and the inflation problem. In the forseeable future, existing orbiting and roving vehicles already have the ability to meet the challenges of Mars exploration." Jeffery has, however, also been involved with other concepts. In 2006 he and a team of engineers from JPL, NASA Wallops and ILC Dover, built a 5.5 meter spherical superpressure balloon that could fly at an altitude of 55 kilometers in Venus&apos; atmosphere. They even tested how a teflon coating could protect the balloon from the acidic air of Venus. Such a vessel could possibly descend to the ground, scoop up some dirt, ascend and launch the surface sample on a small rocket back to Earth. There is even the possibility that balloons such as this one could search for life in the Venusian air. Microbes might thrive in the upper parts of the atmosphere, where conditions are hospitable to life. In another paper of his, Jeffery also explored how to make a blimp that could survive for a long time in the cold atmosphere of Titan. See, the one thing that limits the lifespan of a balloon are pinholes. On Earth, the amount of pinholes in a balloon wil build up over time, because the change of temperature that follows from night and day makes the plastic stretch and retract. The same thing would happen in the atmosphere of Titan, the only difference being, that there would be no humans around to patch up the balloon and refill it with helium or hydrogen, once the balloon had too many pinholes in it. If you get wounded and lose blood, your body will replenish the blood, if the wound is sealed. Imagine if you could duplicate this in a balloon. This was exactly what Jeffery and his team did. They came up with a gas management system that could convert methane into hydrogen. Titan’s atmosphere is comprised mainly of nitrogen, but a little over 1 percent is methane. Using a small chemical reactor, the hydrogen molecules in the methane could be stripped from the carbon molecule and thereby keep the blimp buoyant. Still, since nobody would be around to seal the pinholes, the blimp would still leak, but the constant intake of new hydrogen would cancel out the loss of buoyancy. The blimp would also be outfitted with a nitrogen removal system that would make sure that the gas within the blimp is not polluted by the - in comparison to hydrogen - heavy nitrogen. Such a system could extend the lifespan of a Titan blimp to a year or longer. NASA has, in its deliberations about how to further explore Titan, looked to balloons as a possible exploration design. I get excited when I read about concepts such as these. It therefore also makes me sad to report that JPL has not continued their work on planetary balloon research. The work on Mars balloons ended in 2008. In 2013 the work on Venus balloons also stopped and some work on Titan balloons continued until 2014. Jeffery Hall and some of his colleagues are trying to re-start the development of Venus and Titan balloons. I hope they will succeed in this endeavor. Ballons seem so archaic. Yet, they continue to stir the fantasy of so many people within many different fields of work. Although the Hindenburg burned up in a fiery blaze, today airships are on the way back, as means of transporting people and goods. Project Loon seeks to deliver internet around the world with continously floating balloons, and NASA has been doing astronomy with stratospheric balloons for years now. Though work on planetary balloons might now not be moving forward right now, the potential is still there. It might be our only way to really explore Venus and for Titan the design could get us closer still to that strange moon. In the future, I hope to see pictures taken from the end of a tether that is connected to a balloon floating high over an alien landscape. V. V. Kerzhanovich, J. A. Cutts, H. W. Cooper, J. L. Hall, B. A. McDonald, M. T. Pauken, C. V. White, A. H. Yavrouian, A. Castano, H. M. Cathey, D. A. Fairbrother, I. S. Smith, C. M. Shreves, T. Lachenmeier, E. Rainwater and M. Smith, "Breakthrough in Mars Balloon Technology," Advances in Space Research, Vol. 33, 2004, 1836-1841. J. L. Hall, V. V. Kerzhanovich, A. H. Yavrouian, G. A. Plett, M. Said, D. Fairbrother, C. Sandy, T. Frederickson, G. Sharpe, and S. Day, "Second generation prototype design and testing for a high altitude Venus balloon," Advances in Space Research, Vol. 44, 2009, pp. 93-105..
J. L. Hall, J. A. Jones, L. Brooke, B. Hennings, R. Van Boeyen, A. H. Yavrouian, J. Mennella and V. V. Kerzhanovich, "Gas management system for an ultra long duration Titan blimp,"Advances in Space Research, Vol. 44, 2009, pp. 116-123.